I recently developed a love for Celosia. You know how I adore magenta and fuschia flowers, right? So it's no surprise that I've thoroughly enjoyed having a living plant in our home that brought that color in for awhile. Anyhow, they died. I tossed 'em. But take a look at these pretties while they were here (a couple of months, totally worth a few bucks). I bought these the weekend after Thanksgiving and loved them until they bit the dust. 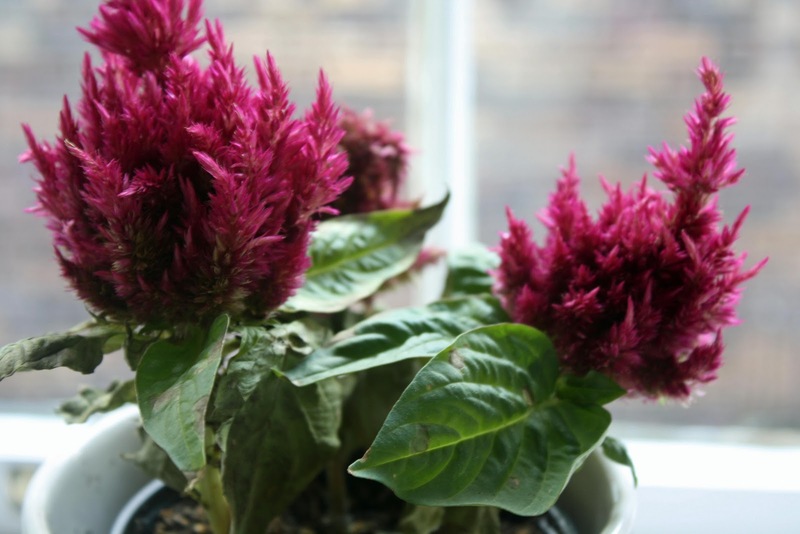 Apparently Celosia is very finicky, especially inside. It needs a LOT of natural light, and even re-potting can cause it to die. (By the way, this is all Google talkin'... if I'm wrong please let me know!). I put our little plant in the sunniest spot in our home and they hung around as long as possible. Any experience with Celosia? What's your favorite indoor plant? Or favorite way to bring color indoors? Do you have difficulty with indoor plants? Let me know! *I love your emails! But leave a comment and let everyone know about your ideas/thoughts/love!